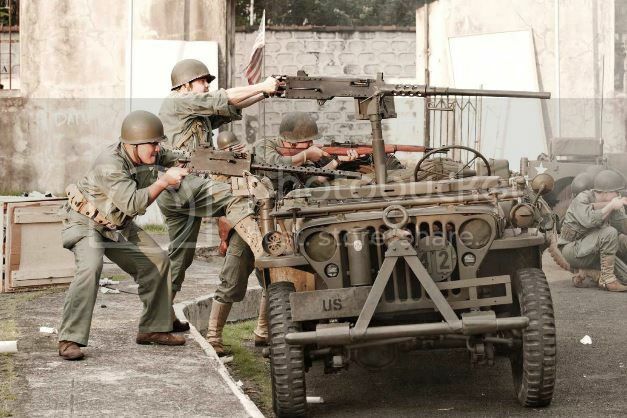 Battle of Manila Reenactment, March 24 | Heritage Bn. For those who are local. It might be worth checking out. In Part II, an American Lawyer will appear at the Chick Parsons Room of the U.S. Consulate and, striking on the door three times at the stroke of midnight, will summon up the ghost of General Yamashita, and set him free. Seriously, I applaud what these guys are doing. There's a lot of ways that people get a deeper interest in History, and this is one of them. Bravo to all concerned!!! Hi EXO, how are you? I've been somewhat out of the WW2 history mindset in the last year or so... got so busy with work, family, and different demands. I'm just starting to get back to my long time passion. 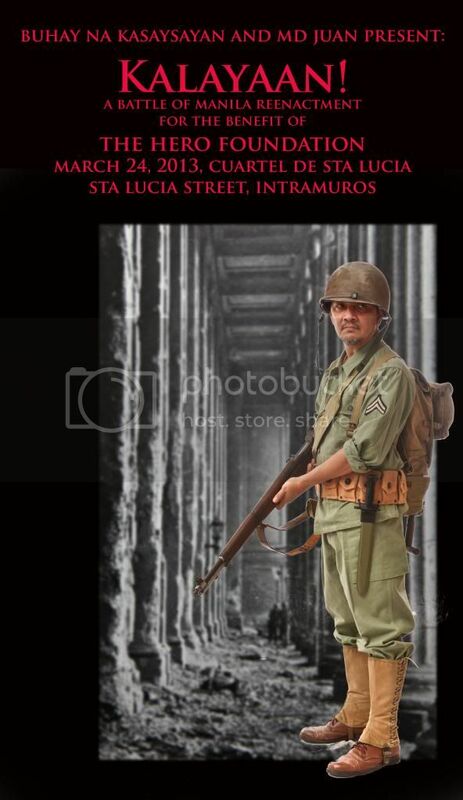 It helps that we're planning a trip home to the Philippines and more research is in order for the next Bataan hike. 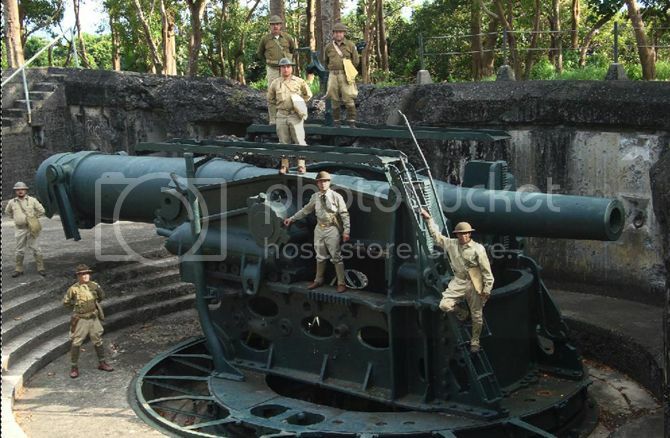 I can't remember if I posted it once upon a time, but here's a Corregidor "reenacting" version from a couple of years ago. Steve accompanied them for choice photo shoot spots. Again, John, you will never see the pictures. 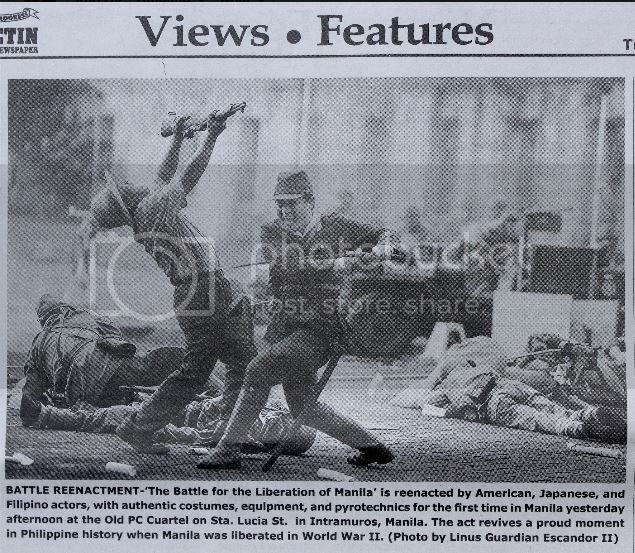 Wonder if they'll use some of my friends Japanese Army re-enactors from Bamban. 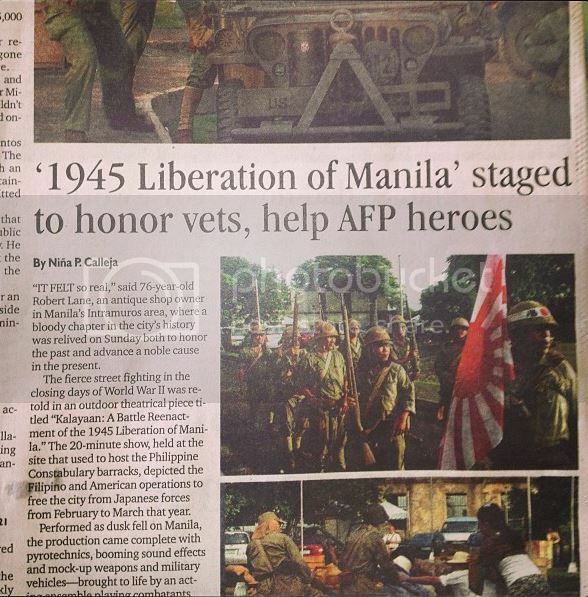 Yes, Jojo Dy and the other Japanese reenactors + more were there. Yes, thanks for the sharing!